Online Branding. Content Promotion. Mobile Marketing. Usability, visual appeal and design decide the success of a website. User-centric approach is adopted for successful web design. After all, if the users are not able to use a particular feature or do not like the look and feel, the usability will be affected. In this post, we have listed out top dos of effective website design. First and foremost, realizing how users interact with the webpages, what do they think and what are the essential patterns of users’ behaviour. If you are attracting your audiences through those well-written tweets and statuses to a badly designed website, then all your efforts are wasted. A visually attractive website can be helpful for online branding and marketing initiative of an organisation. A well functioned website that correctly displays the ethos is considered as the best sales tool, while a poorly constructed website can hamper an organization’s sales and reputation both. Moreover, a not well designed site has sub-optimal Google Analytics metrics. So, what are the ingredients that make a good web design? 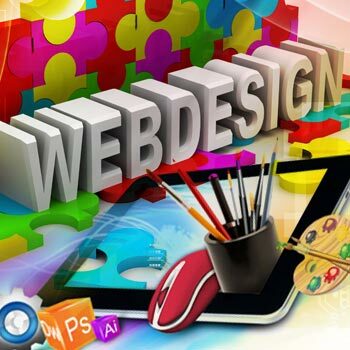 Good web designs are better positioned to meet the user requirements. It is necessary that you know what your web visitors are looking for – information, entertainment or interaction. Every web page should be able to define the clear purpose so that it pleasing and engaging. Information shared on your site should be clear, concise and able to communicate easily as people on web want details quickly. Few of the tactics to follow while designing a website comprise use of short and crisp sentences to make your voice heard along with organising information using heading, sub titles. It is important to make your web pages more aesthetically pleasing. Study proves that Sans Serif fonts such as Arial and Verdana are the most liked by users. While developing the website, it is important to keep the design streamlined for great user experience. An interesting colour palette has the ability to boost the user experience significantly. Many webpages are using the contemporary colours to bring harmony. Use of contrast colours for background and text is a good idea. Vibrant colours should be thoughtfully used. A good picture can display the right information. When the right images are chosen for a website, right brand positioning and connecting with the target audience becomes easy. You can also buy stock photos if you don’t have high quality professional photos in hand. Many also use infographics, videos and graphics to enhance the look of their website. A good site should always offer efficient navigation. Some of the common tactics comprise a logical page hierarchy, using bread crumbs, designing clickable buttons, etc. Always place content in the webpages according to a well thought structure; otherwise random content placement can confuse the users. Arranging content into the sections, columns and boxes will offer a balanced look to the site. Research proves that people usually scan computer screens in an ‘F’ pattern. Instead of forcing the audiences to view the content in a particular way, it is better to design websites that follows the reader’s natural behaviour. Nobody likes a non-responsive site. It is important to ensure that the website opens as quickly as possible. As audiences are accessing websites from varied devices these days, it is essential that a good site is mobile friendly. This can be attained when the website has a responsive layout or by creating a dedicated mobile site. It is not such a hassle to create a functional website when you know the right design elements to focus upon. So, does your website have what it takes? If you do not have the required technical skill to create a user friendly site, get in touch and avail our web design development services. My website is not mobile-friendly.Please tell me how important it is to make my website mobile ready. Recently, Google stepped its ante to reward mobile-friendly websites when searches originate from a mobile device. This change in Google’s search algorithm is pushing the companies to find out how their mobile rankings are getting affected. One of the superior pieces i have read in the week. Click-through Rate (CTR): Why your SEO and PPC needs it? © 2014-15Popkorn Communications Pvt. Ltd. All rights reserved.